Coltrane did it, Rollings did it, and now, Trærup/Sejthen/Nottelmann is doing it - playing trio jazz like in the good old days. Famous and beloved jazz standards form the repertoire for the night in this joyful performance, where the trio gratuitously dishes out love and respect for the masters of jazz. 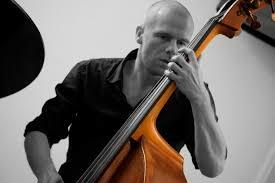 Thomas Sejthen is known from the bands Indra, Uffe Steen Trio, and Admiral Awesome, and is one of the finest double bass players of the Danish realm. A musician who keeps growing with an amazing capability for immersion and a strong moodsetter.